There are many factors involved in costing an industrial piercing. They require more time, more experience and more equipment. Some factors cause the price to go up by quite a lot; some may only affect the price a little bit. Some are also more important to consider than others. A piercers experience is of utmost importance when choosing who will perform your new industrial piercing procedure. Two piercings have to be performed; both going through the cartilage, so you want to have someone who knows what they're doing. It's important that your piercer is not only experienced in piercings in general, but is also experienced at performing industrial piercings specifically. This is because the two holes need to be created and aligned perfectly if the piercing is going to come out correctly. An experienced piercer will have pierced many, many ears throughout their career- including a lot of industrial piercings (probably). They will be reassuring and will inform you about exactly what they will be doing throughout the procedure. In the rare event of something going slightly wrong during the process, a good piercer will know exactly what to do to rectify the situation. However, because they have been doing this for many years, they will likely have inflated prices when compared to somebody of lesser experience. Despite this, it is highly recommended that you pay the extra bucks to get your industrial piercing from someone who has done it many times before- it is certainly worth it. In comparison, you will undoubtedly find someone to do it cheaper, maybe a friend. Although, chances are, they will not have the experience, the proper equipment, or the incredibly sterile environment required to perform the industrial piercing procedure correctly and safely. It's up to you if you would want to risk it, but we recommend you go for the safer, slightly more expensive option. Just remember that although a more experienced piercer could cost more, they may be more cost effective; if an inexperienced does a bad job, or pierces the wrong place, it would cost more to get the mess corrected (and could be even more painful). We strongly urge getting any form of cartilage piercing (including industrial) done by use of a hollow needle instead of a piercing gun. This is because a gun can create more pressure and bruising to the area, which in-turn causes more harm to cartilage when compared to a fleshy part of the ear such as the lobe. Therefore, although some piercing shops may charge more to have the procedure performed using a needle instead of a gun, we still recommend paying the extra. If a studio has built up an excellent reputation and has a large fanbase, they will more than likely cost more than a small and less-popular shop or malls piercers. This is simply down to supply and demand; the more popular the shop, the higher they can raise their prices while still getting plenty of custom. Despite this, this doesn’t mean that a small piercing shop isn’t good enough. If you find some evidence (like positive word of mouth, or online reviews) that they are safe and know what they are doing, you can save a decent chunk of money by going to these more obscure shops compared to going to the hugely popular ones. The cost of an industrial piercing can also be influenced by something as seemingly trivial as the location of where you go to get your piercing. Like most industries, prices are likely to inflate in bigger towns and cities; a tiny, less-popular piercing shop in L.A would probably still demand higher fees than a large shop in a small town. We're not saying that piercing shops in cities aren’t worth the prices they're charging (they usually attract many talented piercers from across the country). What we are saying is that you can probably find a piercer just as capable of performing an industrial piercing for a much lower price in a smaller town or suburb. Although the piercer will probably start you off with a simple, metallic barbell, you may wish to invest in different jewelry at the time of your piercing for when you're able to take the initial jewelry out at a later date. You may prefer to keep the more economical titanium or surgical steel piercings, or, if you want, you could find more luxurious alternatives, like gold or silver. However, these high-value items of jewelry will obviously end up costing you much more than the cheaper metals and plastics, bumping up the overall cost of your piercing. Also, be careful when buying very cheap pieces of jewelry, however, as some inexpensive metals can be harmful, or even toxic to the skin. In less severe instances, they can stain or rust very quickly, and even change color after a while from beautiful metallic finishes to dull and green shades. 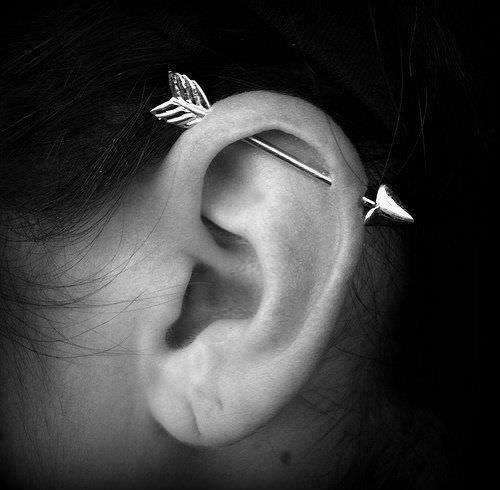 Finally, do not forget the money you will have to spend on the industrial piercing aftercare. While you can make your own saline solution (salt and water) to clean the piercing with, there are also pre-made solutions available, and even piercing-specific aftercare products on the market too. Factoring these into your overall price is important. 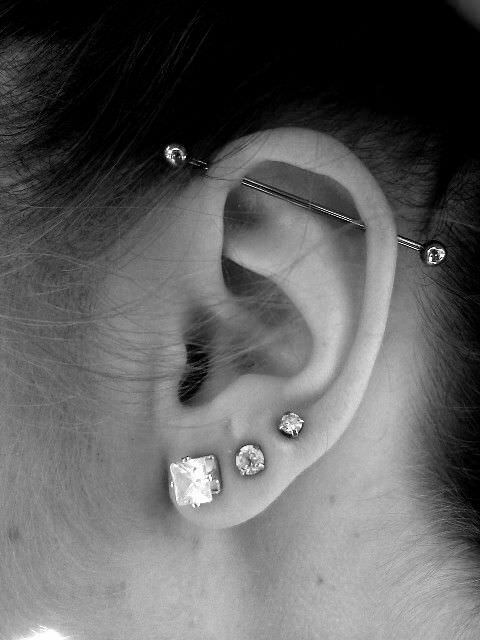 It is challenging to narrow down a price range for an industrial piercing. Some piercers consider it to be two separate piercings, some only see it as one. Location and experience can further vary the price. At a very base average, you should be looking to spend between $40- $70. However, if you look to go to a small-time piercer in a small-time town, you can look to narrow that down further to between $40-$50. 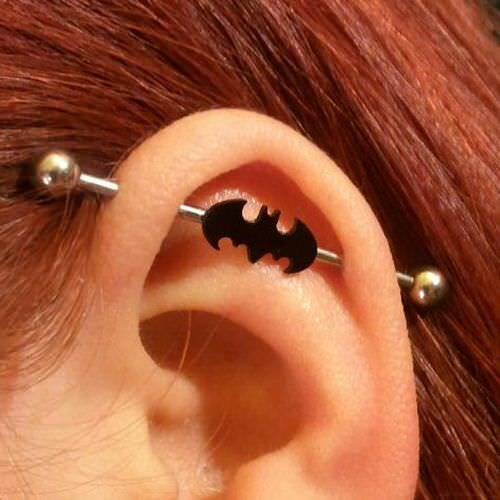 Are There Any discounts Or Offers For My Industrial Piercing? There are many discounts to look out for when getting a new piercing, especially with bigger, more popular piercing shop chains. Buy one get one free offers are very popular and widespread, and why not, they are fantastic! If you can grab a friend to get a piercing with, a participating shop will pierce you both for the price of one, essentially halving the cost for both of you. Sometimes, if you leave jewelry out of the piercing hole for too long, it will close up. However, if you got back to the same piercer, they will sometimes offer a re-piercing discount (or even do it for free). This helps them maintain a good reputation, and helps you retain a bit more money. 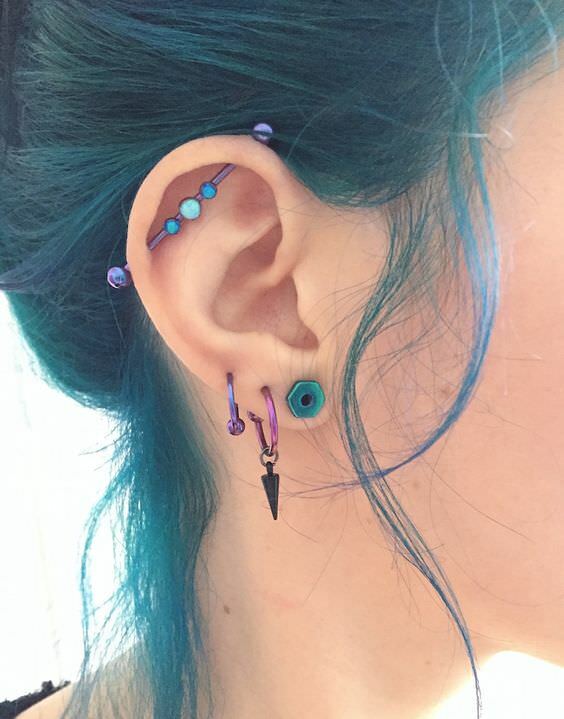 If you go to a piercing shop and decide to get two or three piercing instead of just the one, some piercers may offer a multiple piercing discount. This discount works a lot like buying something in bulk; the more you buy, the more cost-effective it will be for you. In many college and university towns and cities, piercers will offer students a discount on presentation of a student card (I.D.) - therefore, if you're a student and wish to save a bit of money, keep an eye out for piercing shop student discounts. Getting an industrial piercing will likely be more expensive for you compared to if you decided to get a more simple ear piercing due to the industrial being more complicated and requiring specialized experience. However, if you can afford it, going to a reputable piercer in a well-regarded shop will make all the difference to how well your piercing turns out (and could even help prevent harmful infections during healing). Finally, remember that you can usually find ways to save a bit of money if you know where to look with regard to deals and discounts. 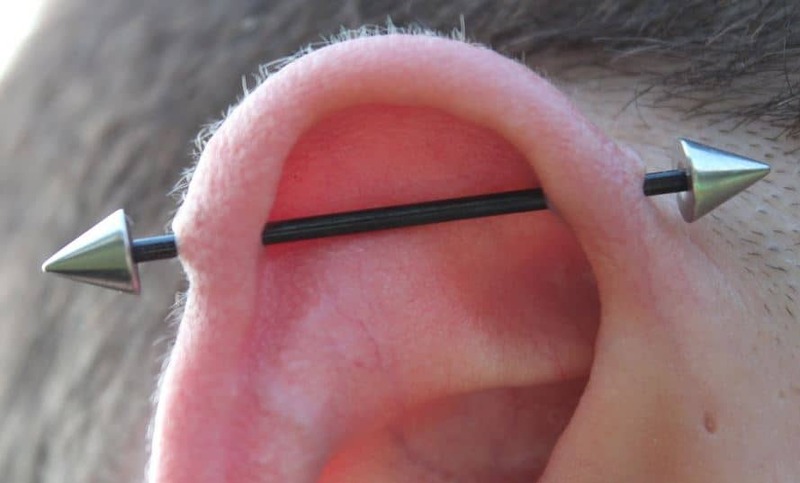 Industrial piercing costs are relatively high all being said and done, but they're well worth it if done properly. Tragus Piercing Pain – How Much Do They Hurt? 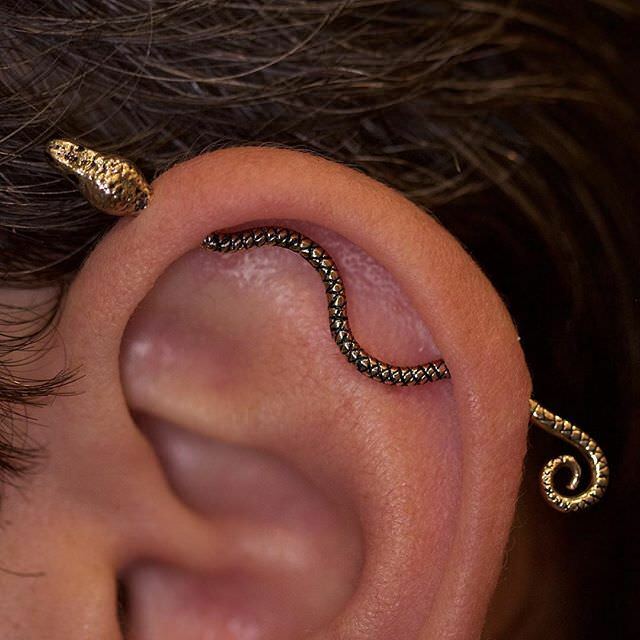 Industrial Piercing Pain – How Much Does It Hurt?